LS!! TURBO!! LS CONVENIENCE PACKAGE!! 7 INCH COLOR TOUCH SCREEN!! 4G WI-FI CONNECTION!! REAR VISION CAMERA!! BLUETOOTH!! 17 INCH ALUMINUM WHEELS!! 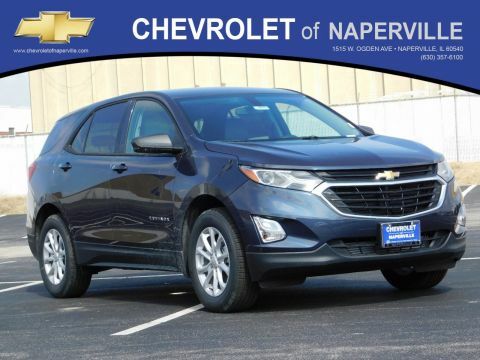 2019 CHEVROLET EQUINOX LS FWD, KINETIC BLUE METALLIC ON MEDIUM ASH GRAY CLOTH SEATING, 1.5L TURBO DOHC ENGINE UNDER THE HOOD, 6-SPD AUTOMATIC TRANSMISSION, 32 HWY MPG!! LETS GO OVER ALL THE OPTIONS ON THIS FIRST IN CLASS EQUINOX!! 7 INCH COLOR TOUCH SCREEN WITH MYLINK RADIO AND APPLE/ANDROID CARPLAY TECHNOLOGY, LS CONVENIENCE PACKAGE INCLUDES: 8-WAY POWER DRIVER SEAT WITH 2-WAY LUMBAR AND DEEP TINTED REAR GLASS, 4G LTE WI-FI HOTSPOT, 6-SPEAKER PREMIUM SOUND, REAR VISION CAMERA, USB PORT, 17 INCH ALUMINUM WHEELS, STEERING WHEEL WITH AUDIO/PHONE CONTROLS, CRUISE CONTROL, STABILITRAK-STABILITY CONTROL, REAR MOLDED SPLASH GUARDS, POWER WINDOWS, POWER LOCKS, PUSH BUTTON START, POWER ADJUSTABLE OUTSIDE MIRRORS AND HEATED….LADIES AND GENTLEMEN LETS JUST SAY THIS ONE IS LOADED UP AND LOOKING FOR A NEW FAMILY AND GARAGE TO CALL HOME!! BUT WAIT EQUINOX SHOPPERS….WE HAVE MORE!! YOU GET A FULL 36 MONTH OR 36,000 MILE BUMPER TO BUMPER COVERAGE, PLUS 5 YEAR OR 100,000 MILE POWERTRAIN COVERAGE, NOW THAT’S WHAT I’M TALKING ABOUT….WORRY FREE DRIVING….ALL ABOARD!! 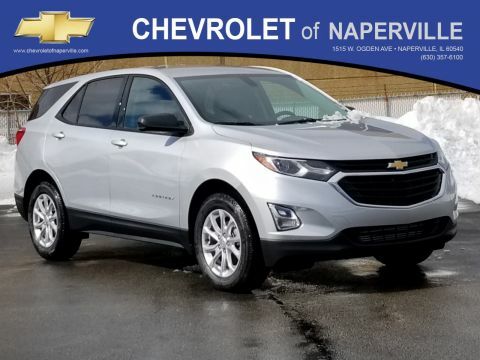 COME ON IN TODAY AND TAKE THIS LOADED UP EQUINOX FOR A SPIN AROUND OUR CHEVROLET OF NAPERVILLE TEST TRACK!! FIRST ONE HERE WINS…FIND NEW ROADS HERE AT CHEVROLET OF NAPERVILLE!! LS!! TURBO!! LS CONVENIENCE PACKAGE!! 7 INCH COLOR TOUCH SCREEN!! 4G WI-FI CONNECTION!! REAR VISION CAMERA!! BLUETOOTH!! 17 INCH ALUMINUM WHEELS!! 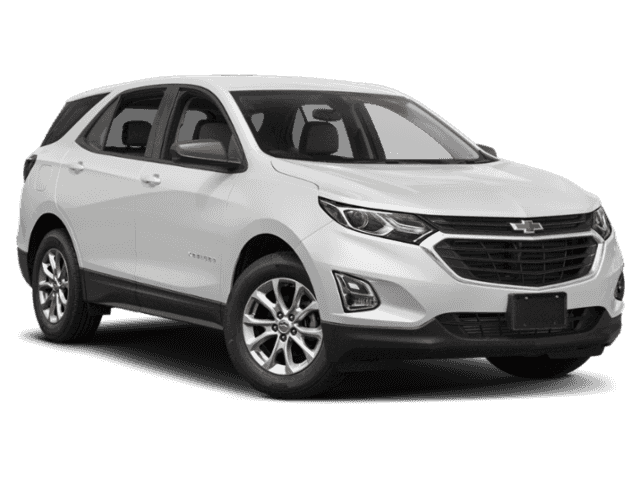 2019 CHEVROLET EQUINOX LS FWD, KINETIC BLUE METALLIC ON MEDIUM ASH GRAY CLOTH SEATING, 1.5L TURBO DOHC ENGINE UNDER THE HOOD, 6-SPD AUTOMATIC TRANSMISSION, 32 HWY MPG!! LETS GO OVER ALL THE OPTIONS ON THIS FIRST IN CLASS EQUINOX!! 7 INCH COLOR TOUCH SCREEN WITH MYLINK RADIO AND APPLE/ANDROID CARPLAY TECHNOLOGY, LS CONVENIENCE PACKAGE INCLUDES: 8-WAY POWER DRIVER SEAT WITH 2-WAY LUMBAR AND DEEP TINTED REAR GLASS, 4G LTE WI-FI HOTSPOT, 6-SPEAKER PREMIUM SOUND, REAR VISION CAMERA, USB PORT, 17 INCH ALUMINUM WHEELS, STEERING WHEEL WITH AUDIO/PHONE CONTROLS, CRUISE CONTROL, STABILITRAK-STABILITY CONTROL, REAR MOLDED SPLASH GUARDS, POWER WINDOWS, POWER LOCKS, PUSH BUTTON START, POWER ADJUSTABLE OUTSIDE MIRRORS AND HEATED....LADIES AND GENTLEMEN LETS JUST SAY THIS ONE IS LOADED UP AND LOOKING FOR A NEW FAMILY AND GARAGE TO CALL HOME!! BUT WAIT EQUINOX SHOPPERS....WE HAVE MORE!! YOU GET A FULL 36 MONTH OR 36,000 MILE BUMPER TO BUMPER COVERAGE, PLUS 5 YEAR OR 100,000 MILE POWERTRAIN COVERAGE, NOW THAT'S WHAT I'M TALKING ABOUT....WORRY FREE DRIVING....ALL ABOARD!! 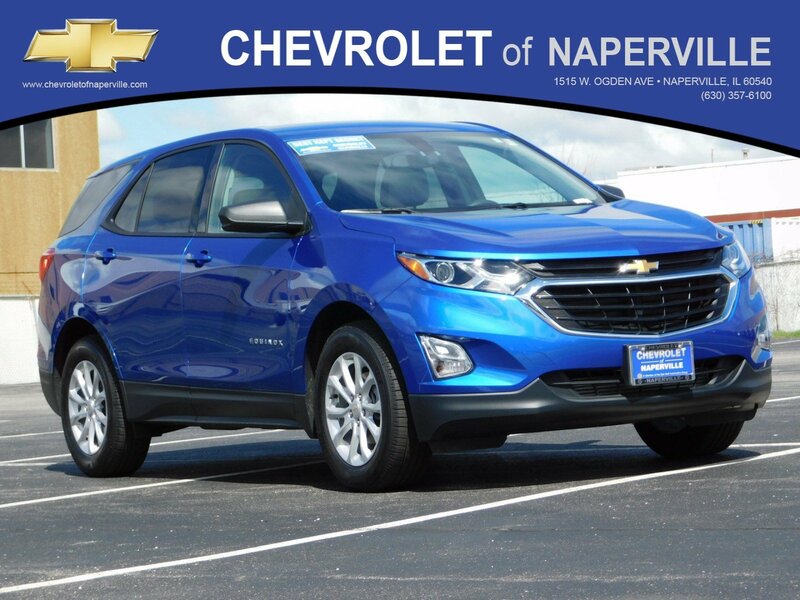 COME ON IN TODAY AND TAKE THIS LOADED UP EQUINOX FOR A SPIN AROUND OUR CHEVROLET OF NAPERVILLE TEST TRACK!! FIRST ONE HERE WINS...FIND NEW ROADS HERE AT CHEVROLET OF NAPERVILLE! !